Anthony Hopkins reprises his Oscar-wining role as the infamous Dr. Hannibal Lecter in the thrilling prequel critics are hailing as "A Suspenseful Masterpiece!" (Fox-TV). After capturing Dr. Lecter, FBI agent Will Graham (Edward Norton) retires - only to be called back to active duty to hunt down an exclusive killer, "The Tooth Fairy" (Ralph Fiennes). Red Dragon is the electrifying, critically acclaimed movie that "returns the series to The Silence of the Lambs form" (Jack Mathews, New York Daily News). $36.540 million on 3357 screens. 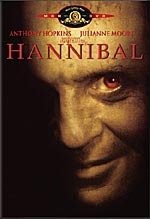 Back when The Silence of the Lambs became a smash in 1991, smug movie buffs pointed out that the flick didn’t provide the first theatrical appearance of Hannibal Lecter. 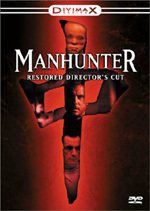 Instead, audiences initially got a glimpse of him in 1986’s Manhunter. In that flick, Lecter played a fairly small role, and we saw Bryan Cox in the part. Since Manhunter reached a small audience and fans loved Anthony Hopkins’ take on the part, the suits approved a new version of that tale in 2002’s Red Dragon. This edition starts in Baltimore circa 1980. Forensic psychiatrist Hannibal Lecter (Hopkins) helps the FBI with their cases. Agent Will Graham (Edward Norton) realizes that a serial killer they pursue eats parts of his victims and shares that revelation with Lecter. Graham soon realizes that Lecter’s the cannibal he seeks, and after a struggle, he apprehends the doctor. From there the movie picks up “several years later”. In the interim, Graham retired from the FBI due to mental duress. Agent Jack Crawford (Harvey Keitel) lures him back with a case of a serial killer called “The Tooth Fairy” who works on a lunar monthly schedule. Though Graham promises wife Molly (Mary-Louise Parker) that he’ll stay on the sidelines, she knows better and fears that Graham will get as involved in this investigation as during past cases. Will’s talents allow him to get inside the minds of the killers, a concept that takes him into dark places. But Graham doesn’t go there alone. To get some insight, he goes back to Lecter for assistance. We watch the efforts to stop the Tooth Fairy before he strikes again, and we also get to know the killer himself, one Francis Dolarhyde (Ralph Fiennes). From Dragon we learn that Lecter works best as a supporting character. When placed in the lead via Hannibal and 2007’s atrocious prequel Hannibal Rising, we get dire results. I think it becomes tough to sustain interest in such a dark character through two hours of film, so Hannibal fares better when he doesn’t operate as our main focus. That makes Dragon probably the second-best Lecter film. It doesn’t compete with the excellent Lambs, but I think any film would find it tough to live up to its level of quality. Dragon easily tops Hannibal and Rising, and while Michael Mann fans will likely argue with me, I think it betters Manhunter as well. Dragon certainly features a superior cast. Manhunter included a good array of talent, but it couldn’t compete with the roster of actors here. We find two Oscar winners (Hopkins and Philip Seymour Hoffman) along with four nominees (Norton, Fiennes, Keitel, and Emily Watson). That’s a pretty stellar group for any film, much less a genre thriller like this. The director doesn’t come with such a great pedigree, but he doesn’t harm the flick. When I saw that a noted hack like Brett Ratner directed Dragon, I feared the worst. He tends to ruin his movies with idiotic comedy, flashy segments and silly tangents, factors that would become very out of place in this kind of movie. Ratner neglects his usual traits here, however, and does his best Jonathan Demme impression. His take on Dragon lacks the depth and tension of Demme’s Lambs, but at least it manages to feel like it comes from the same universe as that classic. Actually, that leads to one complaint I have about Dragon. 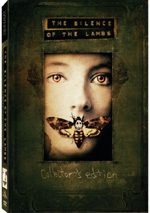 In addition to Lecter, the story includes three characters who also appear in Lambs: Crawford, psychiatric prison warden Dr. Chilton and prison guard Barney. The last two feature the same actors who played the parts in Lambs: Anthony Heald and Frankie Faison. Keitel takes over the Crawford part from Scott Glenn. That change causes a disconnect in our ability to go along with the story’s universe. Since so many old faces reappear, the presence of Keitel becomes jarring. I’d have preferred new actors as Chilton and Barney, as I think the casting should have taken an all or nothing approach to Lambs alumni other than Hopkins. The new Crawford makes the result feel less real. Since Ratner tries very hard to emulate Demme’s Lambs world, one choice confuses me. The prison set offers a recreation of the one seen in the earlier film, but Ratner alters the lighting. While Lambs cast everything in oppressive tones, Dragon makes the set bright. This also throws us out of our connection to the film’s world. Why try so hard to remind us of Lambs and then do something to ruin that connection? Despite some of these strange decisions, Dragon usually satisfies. I ascribe most of its problems to the story itself rather than to Ratner’s direction. In truth, my feelings about Manhunter continue to apply to Dragon. The updated version loses the older take’s dated Eighties feel, of course, but otherwise it’s a very similar movie. Dragon gives us a lot more Lecter; the 1980 prologue didn’t exist in the earlier movie, and Hannibal makes many more appearances in the remake. Otherwise, you’ll find many more similarities than differences. That leaves me with the viewpoint that Red Dragon and Manhunter are pretty equivalent movies. Both tell a moderately interesting story in a moderately interesting way. Neither comes close to the greatness achieved by Silence of the Lambs, but both easily scale greater heights than Hannibal and Hannibal Rising. Dragon is a decent little thriller that fails to go beyond that level. Red Dragon appears in an aspect ratio of approximately 2.35:1 on this single-sided, double-layered DVD; the image has been enhanced for 16X9 televisions. Though much of the flick looked excellent, a mix of flaws detracted from the experience. Sharpness usually came across well. Light edge enhancement made some wide shots a little weak, but the majority of the flick appeared concise and distinctive. Unfortunately, I noticed spasms of shimmering and jagged edges, and a smattering of specks and grit also manifested themselves. Grain could be a little heavy at times. Although I expected a stark palette from Dragon, the movie often featured surprisingly bright tones. These varied, of course, and much of the movie went with subdued hues. The colors consistently appeared appropriate for the story. Blacks were a little flat but usually seemed fine, and shadows were acceptably smooth and clear. This was a good transfer that lacked the extra quality to make it great. I felt the Dolby Digital 5.1 soundtrack of Red Dragon also suffered from some minor issues. Speech demonstrated a brittle tone I didn’t anticipate from a brand-new flick; the lines remained easily intelligible but sounded somewhat edgy. Music seemed warm and rich, while effects came across as concise and accurate. When necessary, the mix offered nice bass response. As for the soundfield, it usually stayed pretty restrained. A few scenes like a storm or helicopters added zest to the mix and opened up the surrounds. The climax also brought out some nice life. Most of the track focused on ambience, however. It made those elements involving and concise, and the mix also gave us nice imaging for the score. Though the track wasn’t stellar, it functioned to bolster the material. The extras here split into two separate sections. Under Inside Red Dragon, we open with an audio commentary from director Brett Ratner and screenwriter Ted Tally. Both sit together for this running, screen-specific chat. They discuss story, script and adaptation, cast and performances, sets and locations, visual design and effects, editing and cut sequences, and general production notes. At its start, the discussion goes well and throws lots of nice information at us. As it progresses, we still learn a lot about the movie, but the level of happy talk becomes more difficult to take. Ratner almost constantly regales us with remarks about how much he likes this shot or that edit. It gets old quickly and mars an otherwise fine commentary. I still think we learn enough to make the track worth a listen, but it’d work better if Ratner could rein in his gushing. This area also presents a music score commentary with composer Danny Elfman. Mostly we hear the flick’s music with occasional remarks from Elfman. He pops up infrequently to provide thoughts about themes and his work. The details are good, but they’re so rare that this track works best for fans who want to hear the score, not those looking for a commentary. Additional Scenes breaks into three areas. We find seven deleted scenes (5:19 total), four alternate versions of scenes (4:27), and three extended scenes (2:21). Do any of these provide material of interest? Not especially. Graham’s family gets a little more screentime, and a few implicit elements – Dolarhyde’s capture of Josh, Lounds’ reading Dolarhyde’s letter – become explicit. The alternates are interesting but inconsequential, and the extendeds fail to provide substance. There’s nothing memorable here. We can watch these with or without commentary from Ratner, Tally and editor Mark Helfrich. As expected, they give us some background on the clips and tell us why they got the boot. We actually get some disagreement, as occasionally Ratner or Tally questions the cuts and Helfrich has to defend them. Helfrich criticizes some changes as well. The notes help explain the editorial process. I especially like the info about Run from Run-DMC’s method acting in his cut piece. The “Inside” domain continues with the 14-minute and 19-second The Making of Red Dragon. In this show, we get movie clips, behind the scenes elements, and interviews. We hear from Ratner, Tally, producer Martha and Dino De Laurentiis, executive producer Andrew Z. Davis, and actors Anthony Hopkins, Edward Norton, Mary-Louise Parker, Ralph Fiennes and Emily Watson. The program gives us a plot/character synopsis and then moves into cast and performances, and Ratner’s work. Purely promotional in nature, the only decent parts of “Making” come from the set. We get some moderately interesting shots of the production, though these fly past so quickly that we don’t see many specifics. The show intends to sell tickets and tells us little about the flick’s creation. Text elements find “Inside”. We find some good Production Notes along with biographies under Cast & Filmmakers. That collection includes listings for Ratner, Tally, Elfman, Helfrich, Davis, Martha and Dino De Laurentiis, costume designer Betsy Heimann, production designer Kristi Zea, director of photography Dante Spinotti, and actors Hopkins, Norton, Fiennes, Watson, and Harvey Keitel. These contribute perfunctory info about the participants. With that we Enter the Mind of Hannibal Lecter. This starts with Lecter’s FBI File and Life History. This text component offers an interesting recap of facts about Lecter. It repeats a lot that we already know from the movies and goes with a confusing timeline; for instance, according to the movie the events of Dragon take place several years after 1980, while this piece puts them in 1978. Nonetheless, this is a fun extra. A program called Inside the Mind of a Serial Killer runs eight minutes, 16 seconds. Hosted by FBI profiler John Douglas, he tells us about his history in the field and his study of killers. From there he discusses the process of criminal profiling, his investigative methods, and some thoughts about related topics. The featurette provides interesting insights and suffers mostly from its brevity; I’d like to hear more from Douglas. 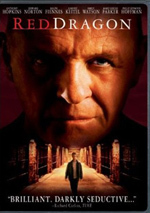 Lastly, Anthony Hopkins: Lecter and Me goes for four minutes and 25 seconds. Hopkins chats about his initial casting as Lecter, elements of his performance, and reactions to his success. This is another short but effective piece. At times, Red Dragon threatens to be a worthwhile take on the universe best known from The Silence of the Lambs. The movie never approaches that classic’s greatness, but it does enough well to make it entertaining. The DVD offers erratic but generally good picture and audio as well as a reasonably good collection of extras. Lecter fans will want to give this sucker a look.